Faith at the start is easy. Faith at the end is easy. But the middle is messy. What we need is faith for the middle. In this final installment, Pastor Tony preaches a powerful message on the posture of the middle. We learn that our position and posture is everything when it comes to Jesus meeting us in the middle. When we change our posture we will fix our perspective. When we fix our perspective we will learn the middle is not the end of the story, its just a scene. What we see as the end of the story, God sees as the beginning of your most miraculous chapter. Why does it sometimes feel the middle of our surroundings is suffocating with no way out? Sometimes life hits us like a punch to the gut, leaving us doubled over and gasping for air. In this message, Pastor Tony brings a powerful word and encourages us to breathe in the Word of Gods and His Spirit and breathe out our praise and watch the atmosphere of our circumstances shift. What do we do when we're caught in the middle of something? What if being stuck in the middle is what God wants? What if it's in the middle that God does His best work? In this message Pastor Tony helps us see that a powerful God meets us with gracious love in the middle of our struggle. Are you withholding from God something you love more than him? Often times God will put before us the ultimate test by asking us to release our grip on what we treasure most. 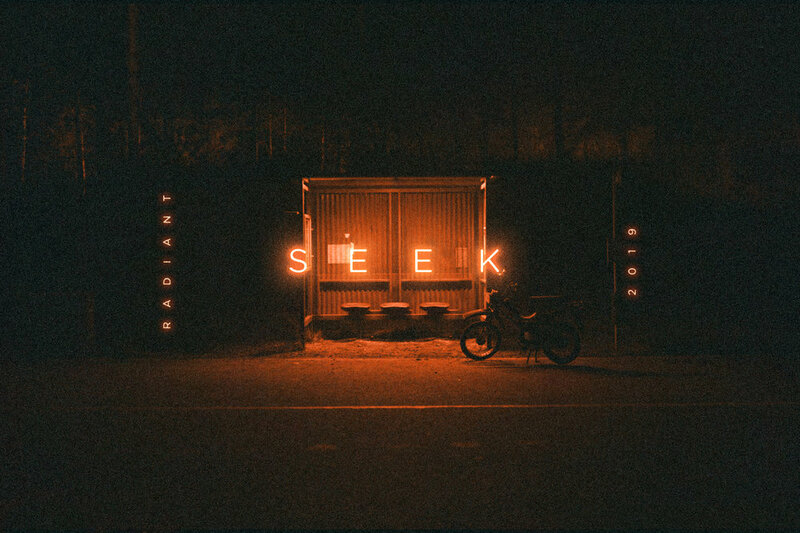 In this final installment of Seek, Pastor Tony journeys us through the story of God testing Abraham and asking for his most treasured possession, Isaac. Abraham gave up the thing he loved the most to the God He loved even more. What you cling to is usually what God asks you to release. The sweeter reality is that what God asks us to release He will always replace with something or someone far more valuable. When’s the last time you believed God for something outrageous? Do you hold fast to the One who has promised? Often times we hear messages on faith and hope or read about but never apply it to our impossible situations. In this powerful message, Pastor Tony reinvigorates audacious faith to believe God for the impossible. What's impossible to you is not remotely difficult for God because He who has promised does not live in the realm of possibilities. Is anything too hard for God? Is there a promise that has Heavenly origins on the inside of you buts it's taking so long to seize it? Have you ever asked God "how" he's going to accomplish it? Often times frustration and disappointment diminishes the dream in our heart and we settle for less. In this message Pastor Tony talks about how God comes down to meet us in our limited belief and the power of coming out of your tent and counting the stars. The Best. The First. The Rest. Why is tithing such a big deal? Why does God call us to do it? In this message Pastor Tony shares the significance of how God supplies the shortage in our lives and how He's faithful to always bless our obedience. When we give God our first and our best He takes care of the rest. On the journey to where you're going, what is influencing and shaping your decisions and direction? The decisions that we make are the steering wheel of our life. Every single person who truly seeks to follow Jesus and live the life that God builds has to make the decision of separation. In this message, Pastor Tony delivers a powerful word on separation being apart of the preparation. Every one of us has a Lot to get rid of, its just a matter of making the decision to separate and walk by faith. Have you ever struggled to see or feel God’s presence in a difficult season? Have you ever been blindsided by resistance in the middle of a blessing? In the message Pastor, Tony preaches a powerful word from the life of Abraham who was in the middle of a blessing but was interrupted by a famine. Just as every song has a story, every blessing has a backstory and every promise has a process. Faith is not something we just need for salvation but its required to sustain you in the middle of nowhere. What does your history with God look like? Is it a bright glowing fire fall of glory and joy? Is it just a flickering ember? In this message Pastor Tony revisits the life of Abraham and the significance of building spiritual altars. We learned that God will send the fire but you have to put wood on the fire. Pastor Tony shows us how prayer is the wood on the fire. When we pray, we should pray from a place of inheritance, a place that is elevated and a place that is secret. The seat of our emotions and place we live life from is our heart. The heart is not just the thing God wants to change but its the place He desires to rest. Abraham's motivation was to seek the life who's designer and builder was God. What marked his allegiance to the Promisor was building an altar. In this message, Pastor Tony invites those who's life has been altered to make an altar. Anyone who is operating from God’s blueprint will have prime real estate in his heart for God’s Presence to dwell in an intimate way. One of the greatest pursuits in life that mark us is friendship. Friendship isn't something you stumble upon. It takes effort, intentionality and pursuit. The marker of faith in God is friendship in God. In this message, we will learn that Abraham was called a friend of God and the starting point of that friendship was God seeking Abraham. Often times the world we live from determines the world we connect to. There are two realms we operate in: a natural realm or a supernatural. Most of us know there's a physical world and spiritual world, however, we don’t always live like there are two worlds. When you enter into a season of separation and concentrated time of prayer and fasting, you begin to connect with the world you were ultimately created to operate in. In this message, Pastor Tony shares about the connective power and how prayer connects us back to God and fasting disconnects us from the world and the things that pull us away from God. What do you do when you walk up to a door that doesn't open? Often times, we don't experience change and transformation because we wait around for God to open doors. 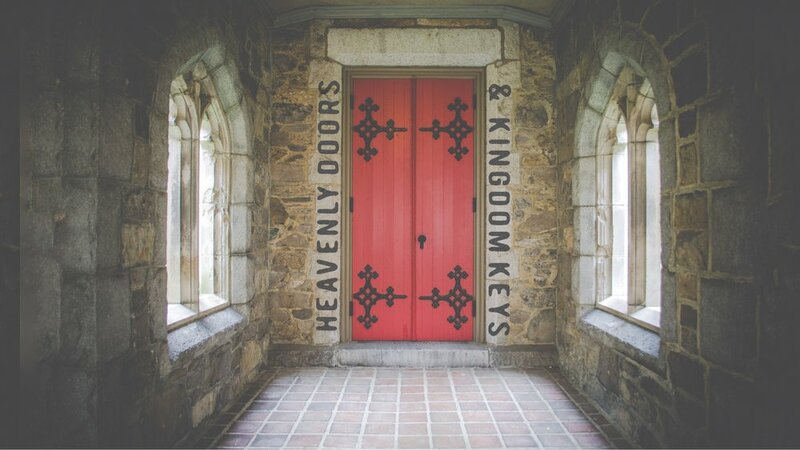 If we only wait and sit around for God to sovereignly open and close doors we will miss out on some things that God wants to do on the other side of those doors. What if the reason we can't open certain doors is because we're not using the right keys? The truth is, only certain keys have been uniquely crafted to open certain doors. In this message Pastor Tony shares the vitally important keys of prayer and fasting and the access God desires to give us. There are certain anti-climactic changes in our lives that happen. You can cross over from day to night; from single to married or from poor to rich. Some people move from an old state to a new state. We get to the other side and cross over and yet we don't even notice that we've transitioned to the new place or even felt the significance of it. In this powerful message, Pastor Tony shares from Luke 8:22-25 the importance of believing that 2019 is going to be a "certain" kind of year. A year filled with prophetic moments, uniqueness, and significance. It's A Boy. Everlasting Father. There are many names for Jesus, but what do they really mean? What's the significance of calling God by His name? About 700 years before the birth of Jesus, Isaiah makes the biggest birth announcement and gender reveal in the history of humanity. In this Christmas message, Pastor Tony unlocks the importance behind the name, meaning, and relevance of "Everlasting Father." You'll gain a new and fresh perspective on the Savior who was born in a manger over two thousand years ago. Everything we do emanates from the heart. Every arena of life intersects with what’s going on in our hearts. What has captured the wonder of our hearts will control the way we live. When it comes to worship, what would it look when we move beyond form, methods, and techniques? In Part 3 of our Advent series, Pastor Tony takes us deeper into the story of Christmas and the life of Mary and we learn how true worship originates from within. The heart of worship is worship in the heart. What makes something worth going after? Your pursuit is only as great as the reward of what you’re pursuing. What would it look like if we saw Christmas as something that tells us Jesus is worth it? What would it take to look at God as someone who showed up and got involved in humanity to deliver joy and peace? In this message Pastor Tony shares the story of the wise men in Matthew 2 how Jesus is worth our attention, our pursuit and our everything. Have you ever felt the rush and angst of the Holiday season? Maybe you found yourself caught in the drift of tinsel, Christmas trees and the trappings of Christmas. What if this season didn't have to be about speeding things up but slowing things down and longing for the coming of Jesus Christ? 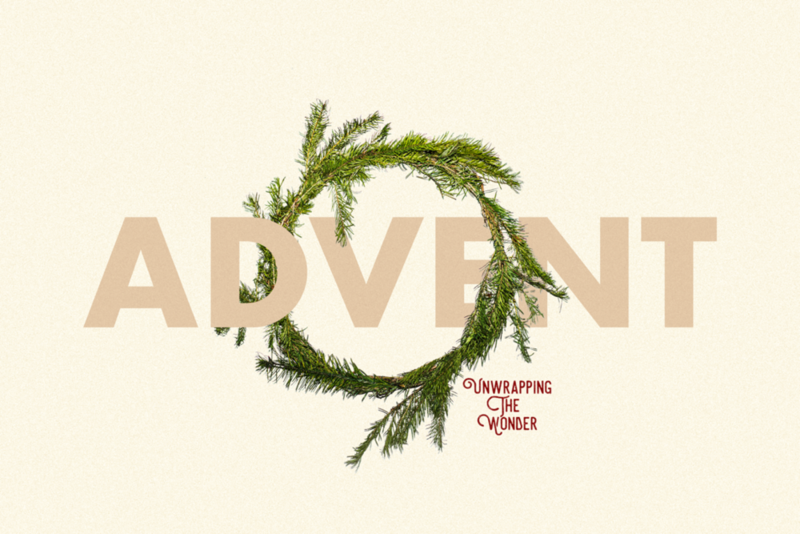 This Advent (Latin word meaning “coming” or “arrival"), Pastor Tony reminds us that this season is all re-orienting our hearts yet again to long and desire for the coming of Jesus that leads to an epic celebration. In part one of this series we re-enter the story and importance of the angelic visit to the shepherds. The first Christmas was a worshipping Christmas filled with peace. When we give God the highest glory, He gives us His deepest peace.